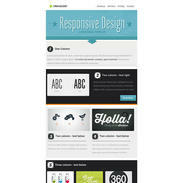 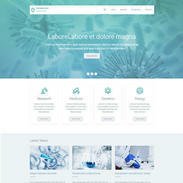 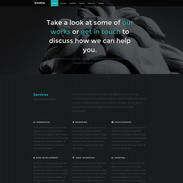 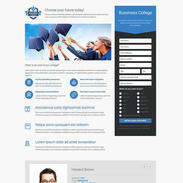 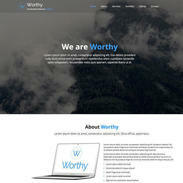 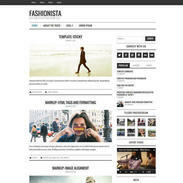 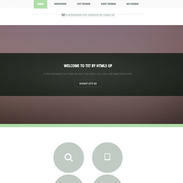 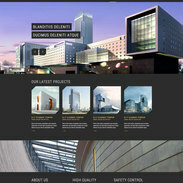 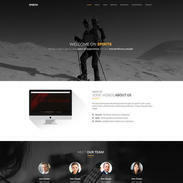 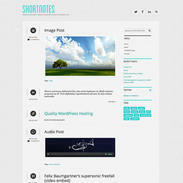 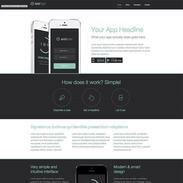 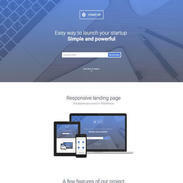 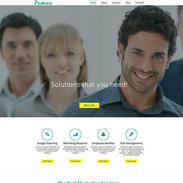 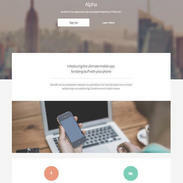 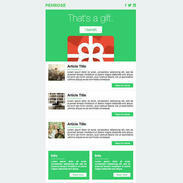 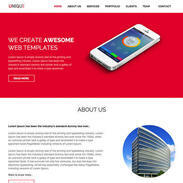 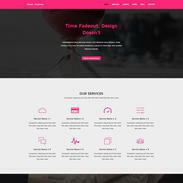 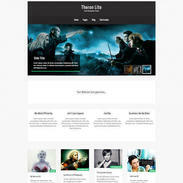 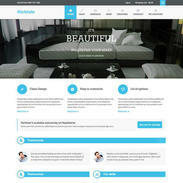 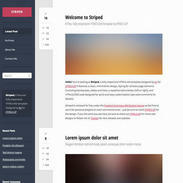 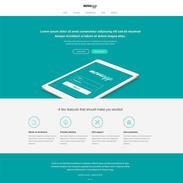 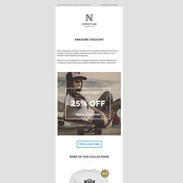 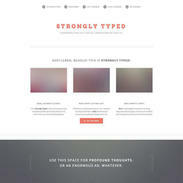 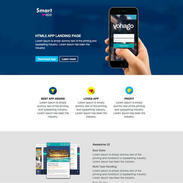 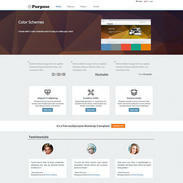 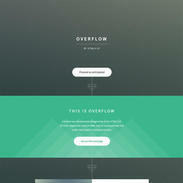 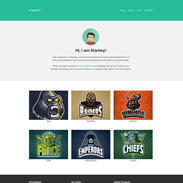 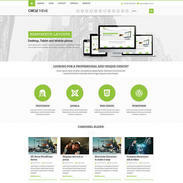 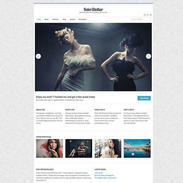 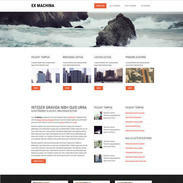 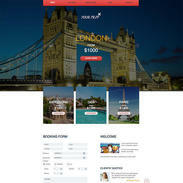 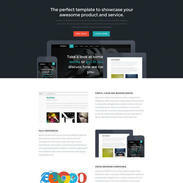 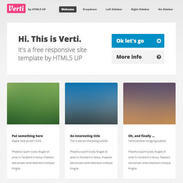 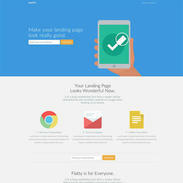 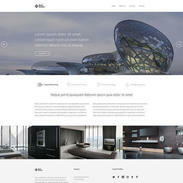 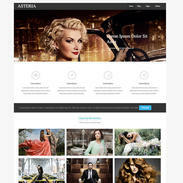 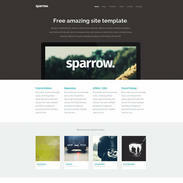 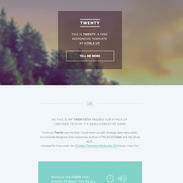 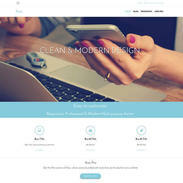 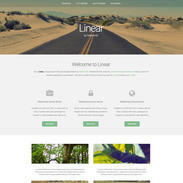 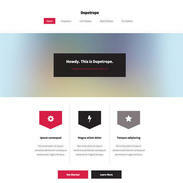 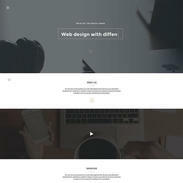 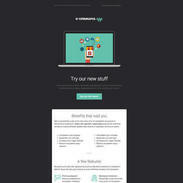 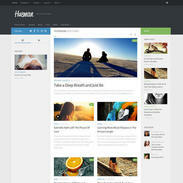 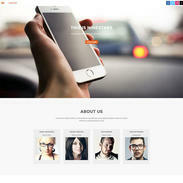 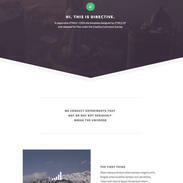 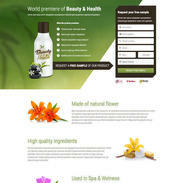 HyperSpace Free Responsive WordPress Theme is a clean blog theme that is fully responsive and completely customizable. 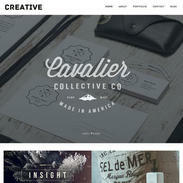 The simple layout lets your work shine as the Lobster font adds flair. 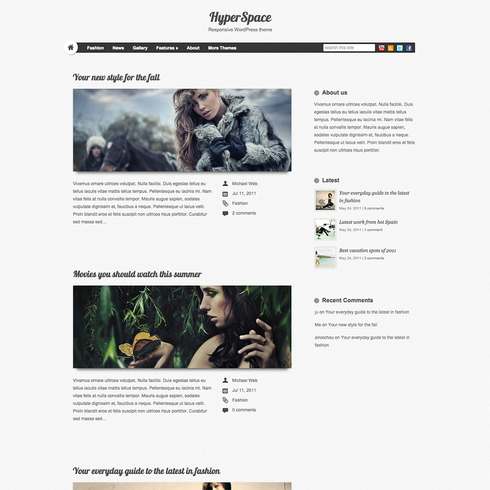 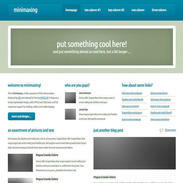 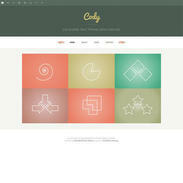 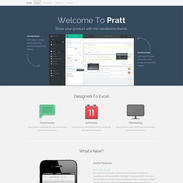 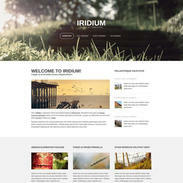 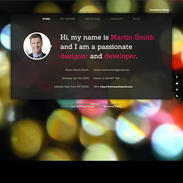 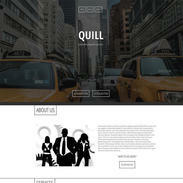 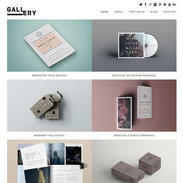 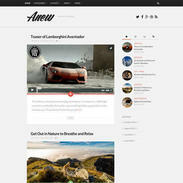 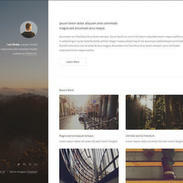 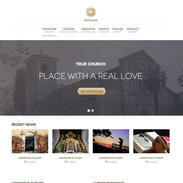 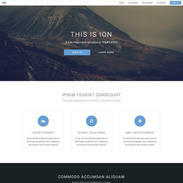 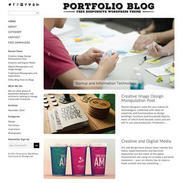 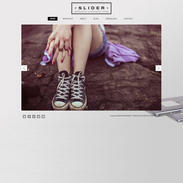 This theme can be used in any type of blog - just let your imagination decide!